Of the five senses, hearing is the one we punish most through excess. About three in 20 people will lose high-frequency tones by their 69th birthday, according to the National Institutes of Health, and many of those by choice. Some of us like the color green, but we don’t program it into our smart phones for glimpses along the route to work, the brightness turned up all the way. We like the taste and smell of vanilla, but would it fill the empty hours of a long car trip? Imagine forking over $20 for admission to an outdoor amphitheater where a bunch of massage chairs awaited. Now imagine if those massage chairs forever numbed our sensitivity to touch. Unlike a vibrating seat, sweet vanilla or the color green, what one person enjoys hearing, another despises. Oh, someone may say they “hate” asparagus, but we don’t feel empathy for them like when they say the same about the sound pouring into their apartment at night. Stranger still, if we universally like the sound of cats’ purrs and wind chimes, why do we put on Wu-Tang Clan in the car? And if we roundly agree the sound of two cars crashing is unpleasant, why is the cymbal strike a favorite marker of musical climax? 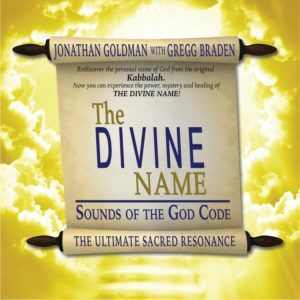 Consider the Ultimate Om, a recording produced by self-described sound “healer” Jonathan Goldman. It is the antiphony of a car crash or Wu-Tang Clan. It’s not as diverse as wind chimes. At just over one hour in length, it is the product of layering dozens of vocalists giving voice to the om, the sound of creation in Hinduism and a meditative hum, in the key of C.
A former rock musician, Goldman had an epiphany one night at a bar. If the thump-thump-crash they were pumping into the audience wound up the crowd, perhaps another sound would produce different, calming results. Today, 30 sound recordings later, Goldman is more convinced than ever that sound influences not just sentient beings with ears and nervous systems but individual living cells. Coincidentally, Ultimate Om is what is played at the website of Princeton’s Global Consciousness Project. Is this the anthem of our very existence? Moreover, if this recording of a human chorus titillates our cells and sinks us deeper into harmony with the universe, why is it that AC/DC’s Back in Black, at nearly 50 million copies sold according to The New York Times, is by that estimate 100 times more popular than Goldman’s magnum opus? In fact, many more people can sing the first verse of “You Shook Me All Night Long” than have even heard of Ultimate Om. The contrast is one of quality as well as quantity. The rock album is a black trip into lust and loss and excess. The guitar riffs and harmonies create a frenetic symphony, the howl of strained rock vocals and power chords set to the drumbeats of war. The last track, “Rock and Roll Ain’t Noise Pollution,” is the aural nemesis of Ultimate Om. That’s the response you have after you’ve sunken into the recliner just after dark. The Mentalist is on and you’re lipping a spoonful of ice cream when that neighbor kid rolls down the street. Here come those epic bass notes boom, boom hitting your ear like the footfalls of a tyrannosaurus. Grab your club! Dornhoffer doesn’t live downtown, isn’t plagued by circling subwoofers. He’s nearly deaf. Two frequency transposition hearing aids allow him to hear human speech, but it’s dim. Women sound like men, and everyone sounds like James Earl Jones. “Hearing loss is kind of the silent disease,” he says, without so much as a smirk. 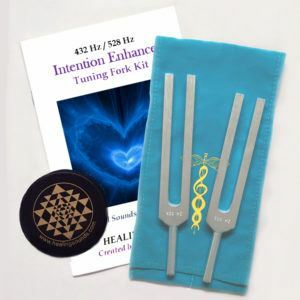 Because loss happens in the highest frequencies first, some people don’t know what they’re missing. They can’t feel the sound. And here’s another thing. Sound is a strong stimulant of the limbic system – that’s your emotional self. It can make us dance around the apartment, or lull us to sleep. Some studies show loud sounds raise blood pressure. This partly explains why we damage our hearing for a thrill. A more obvious explanation is that the louder the sound, the more physical it becomes – “vibrotactile,” it’s called. So, sound fills our universe? Hardly. Space is a vacuum, and sound requires a medium. That tremor in particle pressure, that doesn’t exist in space. “That’s actually not true,” says Donald Gurnett. The James A. Van Allen Professor of Physics at the University of Iowa helped develop a receiver detecting sound right now from the Cassini space probe orbiting Saturn, and space, he says, “has a lot more variety of sounds than you’d find in our atmosphere” (visit www-pw.physics.uiowa.edu/space-audio for samples). There are sound media in space – solar wind, plasma (or ionized gases). Some of the sound waves have magnetic fields like radio. The sounds propagating in the Auroras, that atmospheric nether region ionized by solar radiation, are plentiful and eerie, like ghosts boooo-ing. So sound and music are part of the larger fabric of the universe, as Reid believes? “I don’t know if I’ll endorse that,” Gurnett says. But we did. We all did, tacitly, when as a planet we sent our calling card out into space in the form of the Golden Records aboard Voyager missions 1 and 2. These mechanical recordings – literally gilded records – contain hours of audio meant to replicate the sounds of our planet, its nature and man’s own music. No matter. The odds of another living thing finding it and cracking it are “nil to none,” Gurnett says, and he’s one of the optimists. He believes “other things” exist out there. But let’s return to planet Earth, and the Ultimate Om. “Oh, yeah, I could listen to this for a while,” said Bill Lovett of Bryant, who at 61 has significant hearing loss in both ears. Lovett was one of about two dozen people of different ages, races, sexes and musical preferences listening to the Ultimate Om on a sunny day last month. None of them had heard it before. “It’s the same as dancing – the tone, you allow it to go into the body, and then you and the tone become one,” and it made him want to paint, Lovett said. Monticello native Marchantia Binz said she closed her eyes and saw colors – light pinks and blues – that filled her whole mind’s eye. Despite listening to Lil Wayne and Taylor Swift in her car so loud “people three cars over can probably hear,” the 19-year-old said she could listen to Om for the entire hour. “Soothing” – the oft-repeated one-word response. “Well-being,” was Marilyn Fulper’s word. The 56-yearold Little Rocker still favors the Ramones and early Rolling Stones. She, like many others, thought it was building to something. Ultimate Om can’t just be an om. Where’s the timpanic rise? A threatening cello? Heart-stopping cymbal crash? How novel! A “music” you don’t turn up to enjoy. Goldman says the reason we listen to increasingly louder and louder music isn’t because we’re going deaf (though eventually, perhaps) but because we’re adrenaline junkies. Remember, thump-thump fast music puts us on a war footing. Perhaps it explains why, at a recent ZZ Top show, a few concertgoers seemed inordinately disappointed by the Om, as if physically and emotionally they had prepared themselves for its opposite. “I feel like there’s a bug in my head,” said Jenny Jones, 53, of Bryant. So, what are the actual health benefits? The world is filled with snake oil salesmen, and there’s no dearth of websites with names like SoundHealingCenter.com, Acutonics.com, Dream Weaving.com, HealTone. com, NeuroAcoustic.com and SubliminalSelfHypnosis.com. Where are all the doctors? The research? In 2003, John Beaulieu coauthored a paper in the Medical Science Monitor that proffered nitric oxide, the molecule that aids cochlear blood flow and mediates the neural pathway from the cochlea to the brainstem, is more abundant in the presence of music, and that stress is reduced when this occurs. In short, sound affects neurotransmission. He says there are a number of studies suggesting sound and human well-being are strongly correlated, but while some people are overstimulated, others are under-stimulated. “In my career I have sent many patients to the disco for therapy,” Beaulieu said. Sound may lead to the next breakthrough in oncology, too. Nanotechnologist James Gimzewski at UCLA is a Nobel laureate developing the science of “sonocytology,” where the tiny vibrations of cells – They have moving parts, don’t they? They themselves move and morph. Therefore,they must make sound. – are magnified for the human ear and categorized. Cancer cell decryption seems especially promising. His first paper appeared in the journal Science just six years ago. Dornhoffer, the UAMS otolaryngologist, said there’s no exhaustive body of work that establishes sound therapy as a cure or palliative, but he’s open to the hypothesis. The evidence should include PET scans (threedimensional imaging used especially to diagnose brain activity). Goldman, like Reid, believes sounds influence living organisms at the cellular level, but in lieu of scientific evidence he suggests we simply observe its influence on our limbic systems, our neurological selves. The opening bongos, rattles and cries of the Rolling Stones’ “Sympathy for the Devil” make us want to tap our feet or swing our arms. Conversely, he says, “You Can’t Always Get What You Want” made Goldman once slide off the back of a treadmill. In short, take seriously the natural pairings of events and music. Nice Italian dinner in a romantic locale, soft string music that lingers. Sixteen-year-old in Dad’s convertible, Girl Talk blaring. 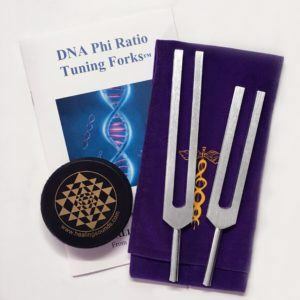 Can You Activate Your Pineal Gland With Sound?